When this kitchen addition was added the original homeowners chose to ignore the architectural details of the original home. Our clients, Will and Cathy, adored the original architecture and wanted to bring the addition back to the home’s original integrity, updating the kitchen and family room at the same time. 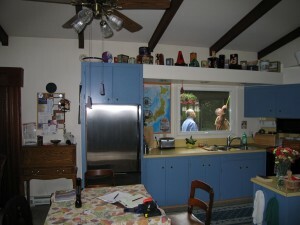 To make the kitchen more functional we enlarged its footprint and added a large island that also functions as a table. By doing this we were able to place the dishwasher in a better location and move the cook top to the island where there is more workspace. 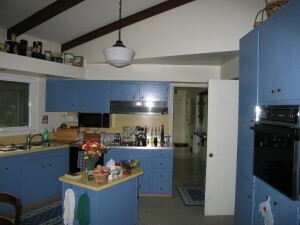 The soffits were removed to allow for taller upper cabinets and the swing door to the laundry room was exchanged for a pocket door to lessen its required space.